Britain’s rupture with the European Union is proving to be another act of moral dereliction by the country’s rulers. 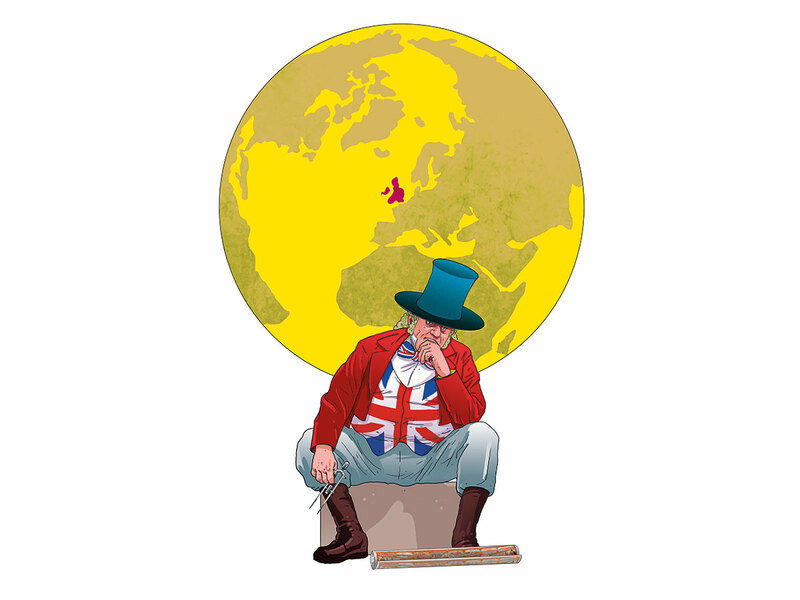 The Brexiteers, pursuing a fantasy of imperial-era strength and self-sufficiency, have repeatedly revealed their hubris, mulishness and ineptitude over the past two years. Though originally a “remainer,” Prime Minister Theresa May has matched their arrogant obduracy, imposing a patently unworkable timetable of two years on Brexit and laying down red lines that undermined negotiations with Brussels and doomed her deal to resoundingly bipartisan rejection last week in Parliament. Such a pattern of egotistic and destructive behaviour by the British elite flabbergasts many people today. But it was already manifest seven decades ago during Britain’s rash exit from India. Forster blamed Britain’s political fiascos on its privately educated men, callow beneficiaries of the country’s elitist state school system. These eternal schoolboys whose “weight is out of all proportion” to their numbers are certainly over-represented among Tories. They have today plunged Britain into its worst crisis, exposing its incestuous and self-serving ruling class like never before. Even a columnist for The Economist, an organ of the British elite, over ‘Oxford chums’ who coast through life on “bluff rather than expertise”. The malign incompetence of the Brexiteers was precisely prefigured during Britain’s exit from India in 1947, most strikingly in the lack of orderly preparation for it. The British government had announced that India would have independence by June 1948. In the first week of June 1947, however, Mountbatten suddenly proclaimed that the transfer of power would happen on August 15, 1947 — a “ludicrously early date,” as he himself blurted out. In July, a British lawyer named Cyril Radcliffe was entrusted with the task of drawing new boundaries of a country he had never previously visited. Needless to say, such ravings issued from an ignorance about India as intractable as that of the Brexiteers about Ireland. Churchill’s own secretary of state for India claimed that his boss knew “as much of the Indian problem as George III did of the American colonies.” Churchill displayed in his long career a similarly imperial insouciance toward Ireland, sending countless young Irishmen to their deaths in a catastrophic military fiasco at Gallipoli, Turkey, during the First World War and unleashing brutal paramilitaries against Irish nationalists in 1920. The many crimes of the empire’s bumptious adventurers were enabled by Britain’s great geopolitical power and then obscured by its cultural prestige. This is why images cherished by the British elite of itself as valiant, wise and benevolent could survive, until recently, much damning historical evidence about these masters of disaster from Cyprus to Malaysia, Palestine to South Africa. In recent years, such privately educated and smooth-tongued men as Niall Ferguson and Tony Blair could even present the British as saviours of suffering and benighted humanity, urging American neoconservatives to take up the white man’s burden globally. Humiliations in neo-imperialist ventures abroad, followed by the rolling calamity of Brexit at home, have cruelly exposed the bluff of what Hannah Arendt called the “quixotic fools of imperialism.” As partition comes home, threatening bloodshed in Ireland and secession in Scotland, and an unimaginable chaos of no-deal Brexit looms, ordinary British people stand to suffer from the untreatable exit wounds once inflicted by Britain’s bumbling chumocrats on millions of Asians and Africans. More ugly historical ironies may yet waylay Britain on its treacherous road to Brexit. But it is safe to say that a long-cosseted British ruling class has finally come to the end of itself as it was.